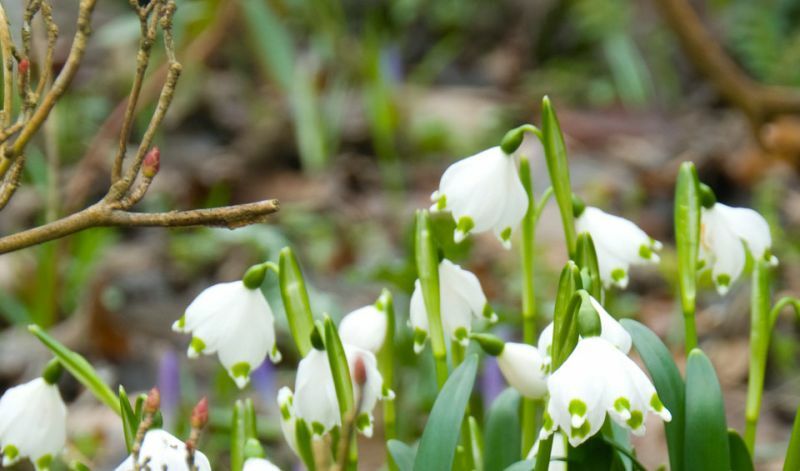 This snowflake often blooms as early as the snowdrops (Galanthus) but is much more rare. Each flower stem carries a single slightly scented white flower (with small yellow-green spots at the tips of the petals) but occasionally two appear. The elongated leaves are bright green.